On July 13th, Microsoft held a panel webinar with their customer, Shire – a recognized leader in rare diseases, along with numerous Office 365 MVPs (full panelist list below). We got to hear how they planned, built and use their beautiful and engaging digital workspace – The Hub – to help inform and engage everyone throughout the company in a consistent, sustainable way. The panelists highlight the importance of governance throughout the project, describe numerous business cases, and cover the use of innovations including SharePoint communication sites, leveraging the SharePoint Framework (SPFx), multi-column page support, new web parts and page capabilities – all used to create rich and compelling sites to achieve their desired outcomes. Additionally, the preview includes placeholders which you could compare to server-side delegate controls and an API to build dialog windows. Collection of Microsoft SharePoint patterns and practices on GitHub. Using REST to update a Managed Metadata column in SharePoint! [T]here is a way you can use REST to update a Taxonomy Field. 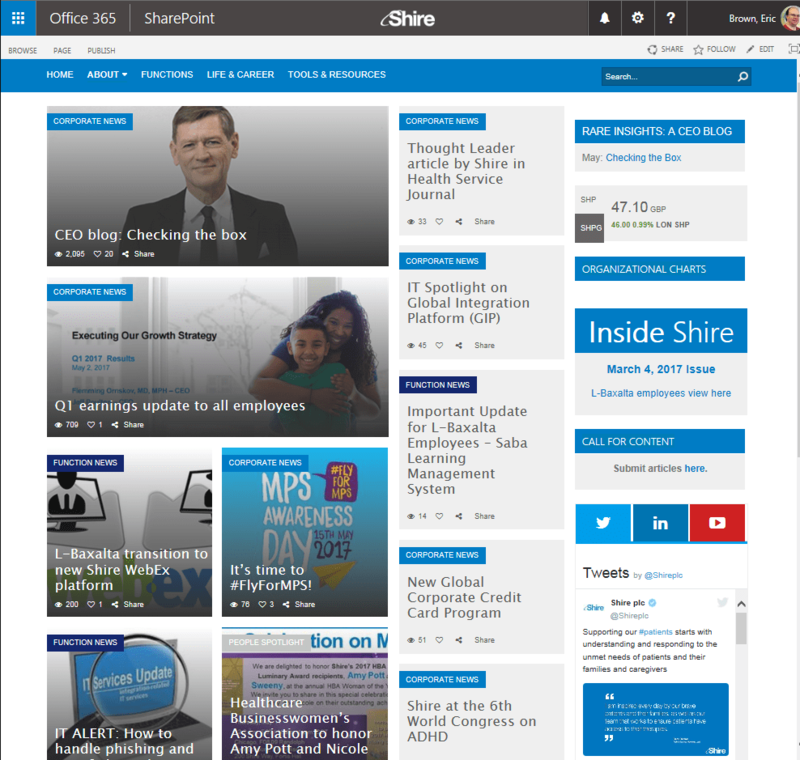 SharePoint on-premises has been, and is, a popular platform for building enterprise portals (a.k.a. intranets). You can build similar portals on SharePoint Online as well, but since SharePoint Online is different from an infrastructure architecture point of view it’s important to factor in the SharePoint Online specific performance considerations when developing your new portal. This set of articles will give you guidance on the key portal design areas. „Modern“ sites have a different level of customization options compared to „classic“ team sites. The list below gives a quick overview of the supported capabilities for „modern“ team sites.